Online ordering menu for Team Dez Sports Bar & Grill. 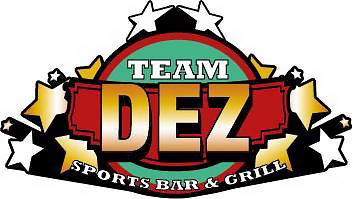 We serve delicious food here at Team Dez Sports Bar & Grill in Union, New Jersey such as wings, burgers, sandwiches, and pizzas. Our menu also features Grilled Chicken Caesar Wrap and Supreme Nachos. We're located south of I-78 Express at the corner of Burlington Avenue and Morris Avenue. We're not far from Union High School. Order online for carryout or delivery!